It is important to clean and inspect your system on an annual basis to prevent problems such as animals and blockages. Screen "Key" caps if necessary. 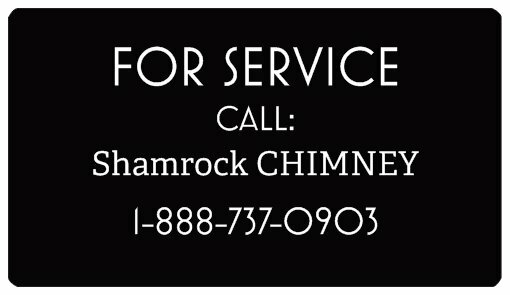 Install metal caps on clay flues. Properly flash liners on top of flues and caps. There are numerous reasons as to why the system smokes or backdrops. Outside installations may back draft more due to cold weather. A lock top can be used to prevent smoke from exiting the flu and coming down the adjacent flue. Revolving vents help induce the draw using the wind. A chimney cap is intended to prevent animals, birds, rain, and snow from entering the chimney. It can also help to prevent downdrafts. mortar joints have deteriorated to the point of repair the damage internally is usually severe. Tuck pointing is mainly cosmetic and does not correct the source of the decay. We believe that it is imperative to correct the problem at the root to avoid further cost and damage. It may also remain a hazard due to the leakages that may occur in your walls and attic.Walls can crack due to time and settling of the foundation. In order to properly tuck point these areas a diamond blade in a grinder should be used in most cases. We want to remove the loose joints and obtain a proper depth to replace the old mortar using a pointing bag. We then finish the mortar with a nice clean concave joint to ensure a longer life of the new repair. There are some excellent breathable waterproofing solutions that are sometimes necessary on brick repairs.